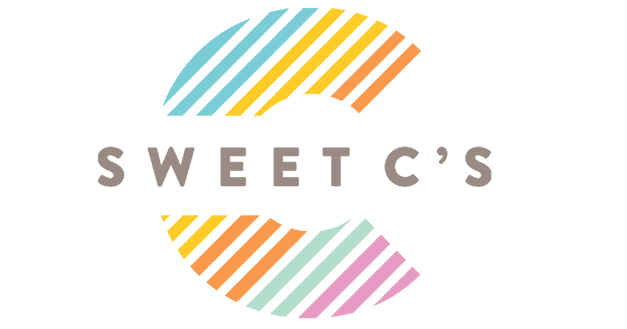 I’m so excited to introduce some fabulous new contributors to the Sweet C’s team this summer- I’ve found some of the most awesome food and lifestyle bloggers with great ideas and I can’t wait to show you all the great ideas they have lined up for us! Today we’re welcoming Julie from Hostess at Heart, a talented home cook from the Heartland who loves making delicious, homestyle meals for her family and friends! 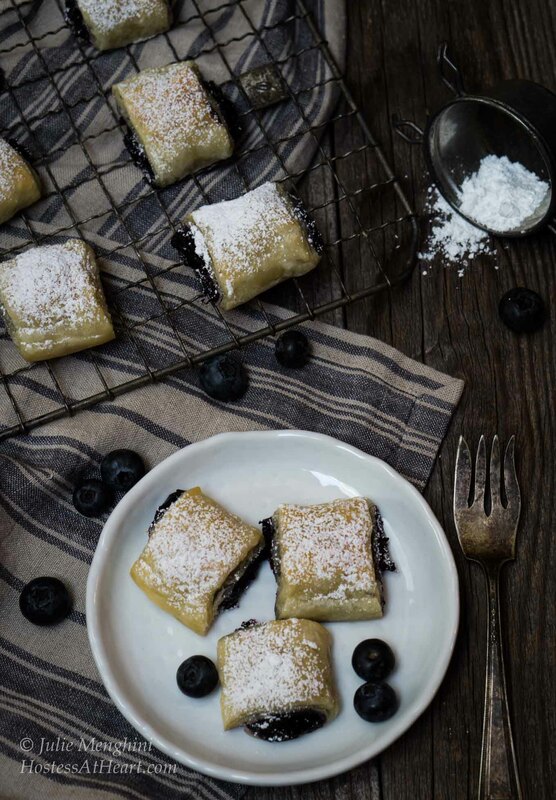 And holy moly, do these Blueberry Puff Pastries look DELICIOUS?? Let’s get to it and help me welcome Julie! 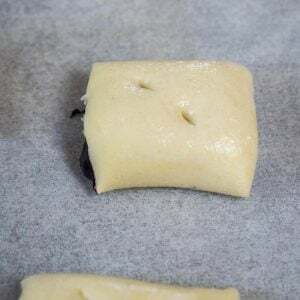 Please be sure to check out all of her links at the bottom of the post, so you can find lots more ideas from Hostess at Heart! I don’t think that there is anything more beautiful than what good ole “Mother Nature” creates. The colors of new berries in the spring and summer are amazing. 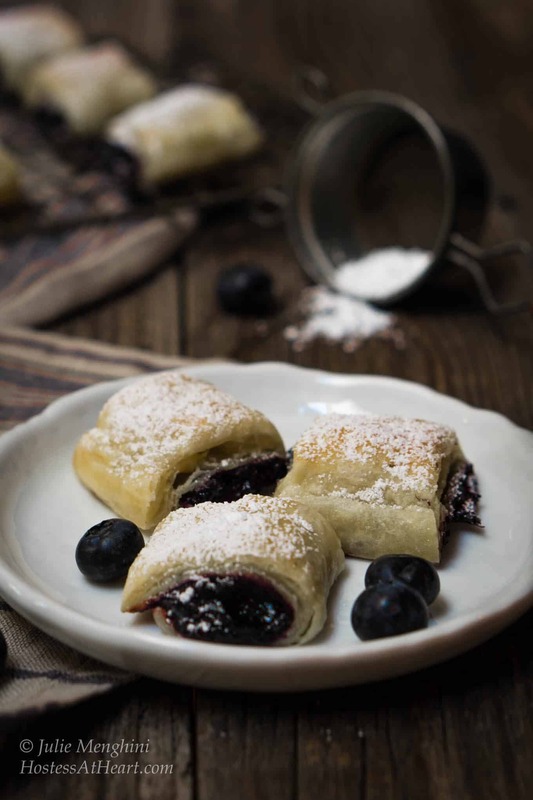 Artists test their own talent trying to create a berry as beautiful as the original, just as I tried to create Blueberry Puff Pastry Rolls that tasted like Mother Nature intended. When berries start arriving I just buy, buy and buy. So when my refrigerator was full of blueberries, I knew it was time to get creative. Creative doesn’t mean difficult or time-consuming. 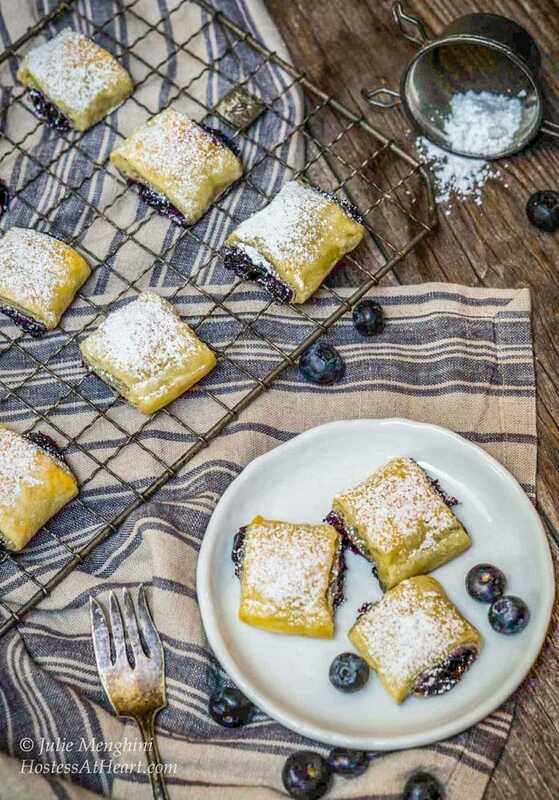 These Blueberry Puff Pastry Rolls are quick, easy and delicious. That makes this recipe about as perfect as those blueberries. The filling is such a deep purple, that only my fingers showed how purple they really were after I shoved a couple not-so-delicate bites into my mouth. 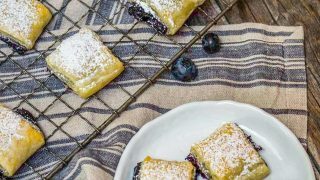 The buttery puff pastry was a perfect match for the sweetness of the blueberry filling, and the whole thing was finished with a light sprinkling of powdered sugar. 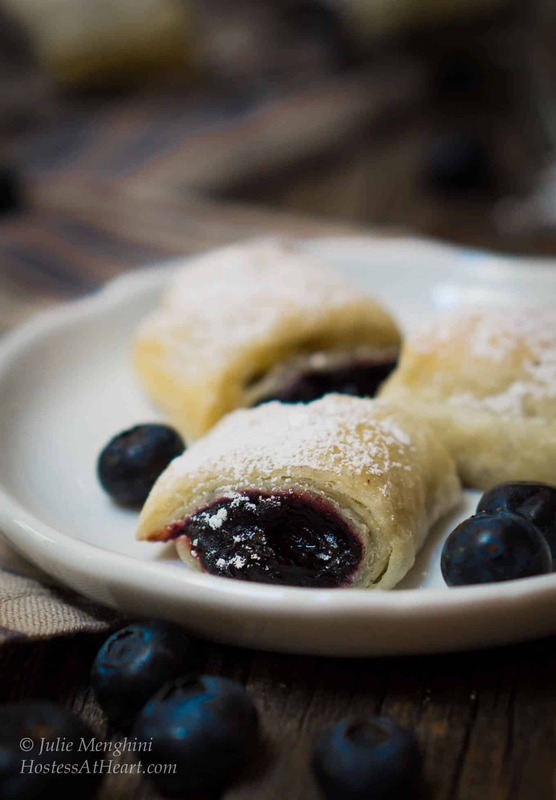 These are darling and sooo oozy with blueberries! 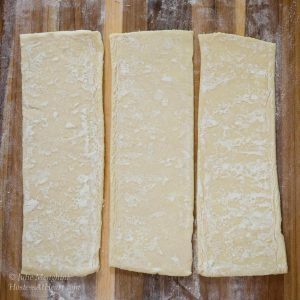 Doncha just love puff pastry? Thanks for bringing this by Throwback Thursday! Looks so good! Thanks for sharing at the #InspirationSpotlight party. Shared See you again soon. Yeah Julie and she does make the best dishes. These look like little blueberry puffs from heaven. Thanks for sharing with us at Throwback Thursday. Pinned and shared! Those are so beautiful! Blueberries are a favorite around our house. We just bought a large container today, actually. Let’s hope that I can keep enough around to make some of these! These look like something you would buy at a fancy bakery or coffee shop…and pay an arm and a leg for. 😉 I love that you use fresh blueberries, not canned filling! Thanks for sharing at the Family Joy Linkup! Julie, I love these photos! And I agree, I LOVE blueberries, they just scream summer! I used to go pick wild blueberries when I was a kid in Alaska. 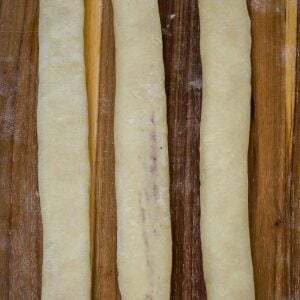 These puff pastry rolls look like the perfect use for them! Thank you Meghan! Oh how I wish I had access for fresh wild blueberries!